How do you react when you hear the stunning statistic that 90% of consumers say they are influenced by online reviews? If you have been on the ball and have a business strategy that includes regularly getting and managing reviews, then you deserve a hearty “high-five.” If not, here are some important reasons why it’s time to get with the program. 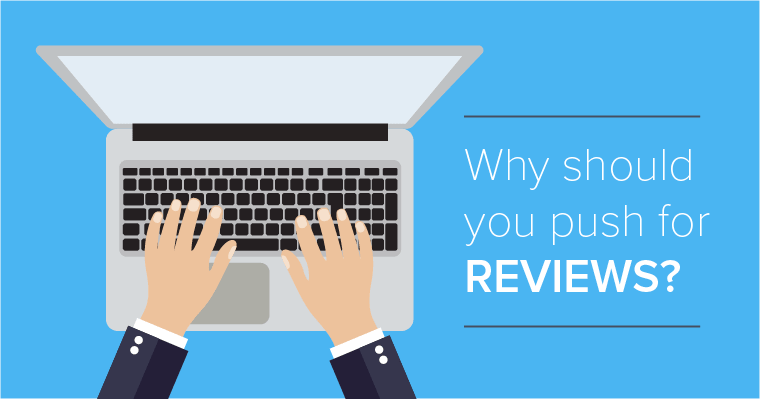 In this blog, we will discuss how your reviews affect decision-making by potential customers and your local SEO, as well as some easy ways to get reviews from clients. A positive reputation is one of the most powerful marketing assets that your business has. Why? It convinces new customers to trust you and then contact you. Medical and healthcare businesses were ranked by consumers at the top when it came to how important a good reputation is when choosing a business. 88% of people trust online reviews as much as a personal recommendation from a friend. Wow! Think about that. The fact that people will trust the opinion of total strangers when making significant purchases or choices shows how influential online reviews can be. Conversely, a lack of current reviews can negatively affect a potential customer’s view of your business. Search engines love reviews because consumers love reviews. The job of a search engine is to give people the information they want. According to the 2017 MOZ local ranking signals, reviews make up 13% of how Google and other search engines decide to rank results. That’s just behind on-page signals at 14% and link signals at 17%. As you can see, reviews are important for your SEO! Let me say that again; reviews are important for your SEO! What kind of reviews will get you good ranking with Google and other search engines? Quantity – It usually takes about 6 to 10 reviews before people even consider them legitimate, so the more you have, the better. Also, people want current reviews that reflect your business now, not six months ago. Quality – Reviews on sites like Facebook, Google+, and Yelp carry a lot more clout than reviews on blogs or your website. Having positive reviews across these power sites adds to your brand. Diversity – Google also wants to see that you have reviews in several different places, not just one. Try to rotate your efforts to get reviews from various review sites during the year. Velocity – Believe it or not, too many reviews too fast is a red flag for Google, Yelp, and other review sites. They may penalize those reviews by hiding them from public view. The natural pace of reviews is a slow and steady increase, and that should be your goal. Your office email newsletter. Include a link to one or more of your review sites such as Google, Facebook, Yelp, etc. and ask for your clients’ honest feedback. They’ll love you for asking for their opinions! Your email signature can have a permanent P.S. that says “Did someone on our team give you outstanding service? Please share it with us!” and embed a link to a reviews page. Share a printed handout with easy-to-follow directions on how to leave a review. Offer it to clients who have had a great visit and are bursting to talk about it. Try using this FREE Google reviews handout in your office this month. Have an office competition with a prize for the team member who gets the most reviews from clients. Use Roadside’s ReviewPro app to text your happy clients with a link to one of your review sites. It’s super easy and quick. There you have it: The lowdown on reviews and why you should be leveraging them to build your business reputation and customer base. A regular supply of positive reviews gives a compelling reason to prospective clients to choose your business and Google to increase your business ranking.